Mauricio Pochettino has put pen to paper on a new contract with Tottenham Hotspur until 2023, according to BBC Sport. The current Spurs head coach has seen his reputation grow as one of the best coaches in Europe in recent seasons and was linked with the likes of European giants Real Madrid and Chelsea, as per Football.London. 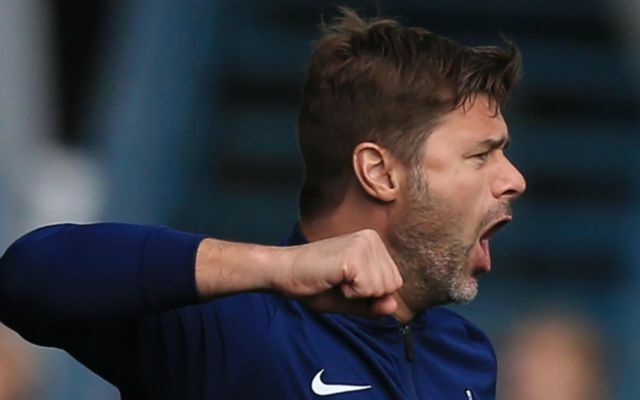 Pochettino joined Tottenham in May 2014 from Southampton and has helped the club to back-to-back top three finishes in the last two seasons and chairman Daniel Levy was delighted he extended his contract. “I am delighted we have agreed a new, extended contract with Mauricio,” said Spurs chairman Daniel Levy, as per the BBC report. According to Sky Sports, the Argentine had three years left on his current deal but he and his coaching team have extended their stay in north London. Pochettino was privileged to take Spurs on a new chapter as they move into their new stadium next season. “I am honoured to have signed a new long-term contract as we approach one of the most significant periods in the club’s history and be the manager that will lead this team into our new world-class stadium,” said the 46-year-old, as per the report from Sky. The news will be welcomed by everyone associated with the club as the Argentine has helped to transform Spurs’ fortunes in the league in recent seasons. He boasts a winning record of 121 of his 218 games since taking charge in May 2014, according to Sky, while he has played a fundamental role in the progression and development of key young players such as Harry Kane and Dele Alli. His stay could also go a long way to persuade key men Jan Vertonghen, Kane, Alli, Christian Eriksen, Hugo Lloris to stay at the club for the foreseeable future too. Although, the focus will now be on ending their wait for major trophies, as they have eluded the Argentine tactician since he arrived and he’ll undoubtedly be desperate to put an end to those question marks over their ability to win silverware.